Omorovicza Firming Neck Cream, 1.7 oz. 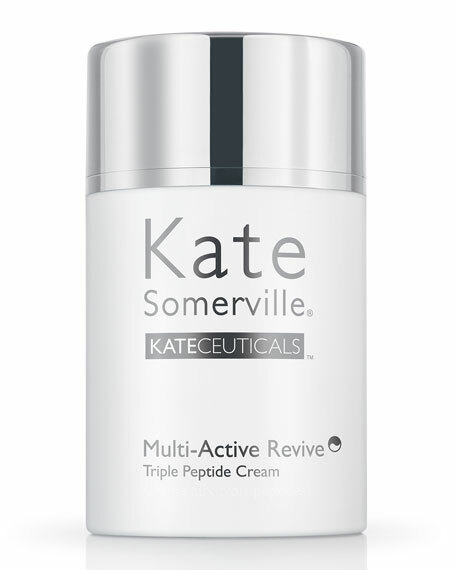 A triple action cream to instantly lift, firm and plump. After 10 years of developing high performance, naturally derived skincare, Omorovicza finally turned its attention to the most delicate skin area of all, the neck and décolleté. This nourishing anti-aging cream works to make skin appear instantly firmer and more taught. Skin elasticity is improved, the jaw line redefined and fine lines and wrinkles appear smoother on the neck and décolleté. White Truffle enzymes have multiple anti-aging effects which work to repair skin elasticity and improve skin integrity to firm and tone. A composition of Polysaccharide, Protein and protein-sugar molecules work to create a bio-lifting effect and act as a 'neck lift' in a jar for a complete remodeling effect. Leontopodic acid from Edelweiss flowers work to significantly reduce the appearance of wrinkles and skin sagging around the neck and jawline so skin looks firmer, fuller and denser. Two forms of Hyaluronic Acid help preserve the most important characteristics of youthful, healthy skin, such as suppleness, elasticity and tone whilst also stimulating collagen synthesis to increase skin firmness and recover volume and fullness. Polysaccharides instantly lift, smooth and tense the skin to reduce wrinkle depth. Moisturizing Shea butter has a high concentration of fatty acids to deeply nourish and protect the skin. Vitamin E works as a powerful antioxidant and skin conditioning active which helps prevent the signs of premature aging. Omorovicza's patented Hydro Mineral Transference delivery system leaves skin firmer, more supple and younger-looking. Use morning and evening by applying a small amount directly onto the neck and chest in a gentle upwards motion until absorbed. For best results use after Omorovicza's Queen of Hungary Mist. The Omorovicza story begins 2,000 years ago, when the curative properties of Hungary's thermal waters were first discovered and the famous baths built. In 2006, founders Margaret and Stephen de Heinrich de Omorovicza harnessed this ancient health and beauty phenomenon with Mineral Cosmetology, a patented skincare delivery system. 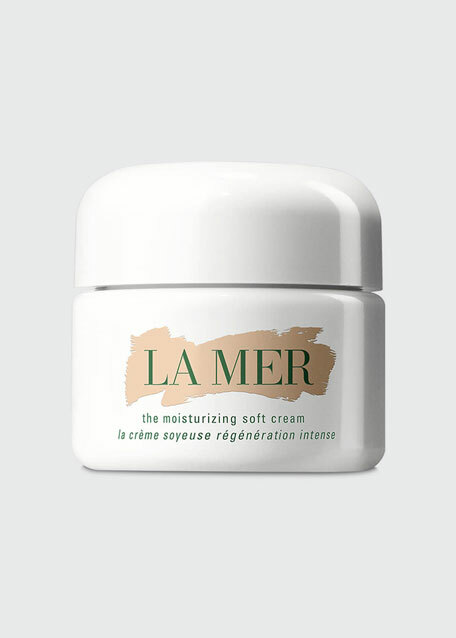 La Mer The Moisturizing Soft Cream, 1 oz. 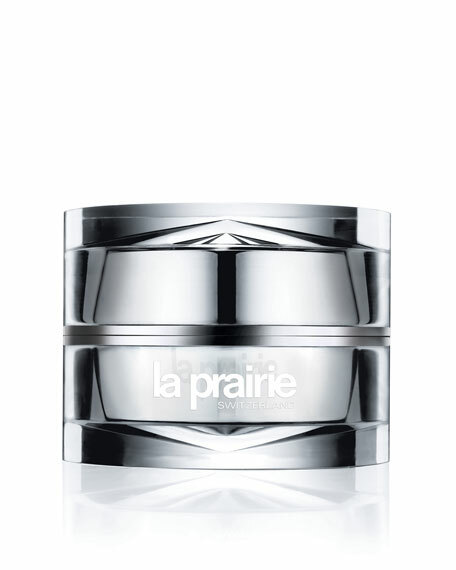 La Prairie Cellular Cream Platinum Rare, 1.0 oz. 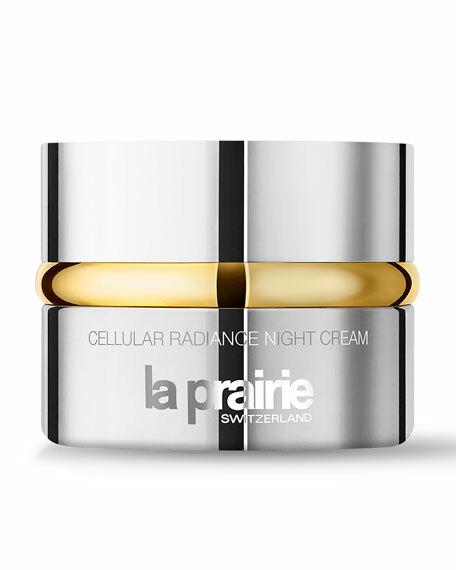 La Prairie Cellular Radiance Night Cream, 1.7 oz.